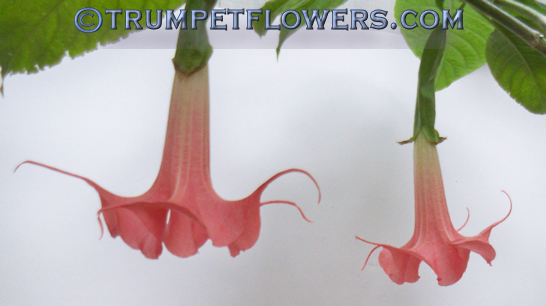 Closeup shot of Angel Trumpet Rubirosa. Rubirosa is parented by Ecuador Pink X Rothkirch by Monika Gottschalk. Published in 2003. Brugmansia Rubirosa on April 4th, 2013. This is her first blooms for me. There were two others, but I didn&apos;t take shots of them. 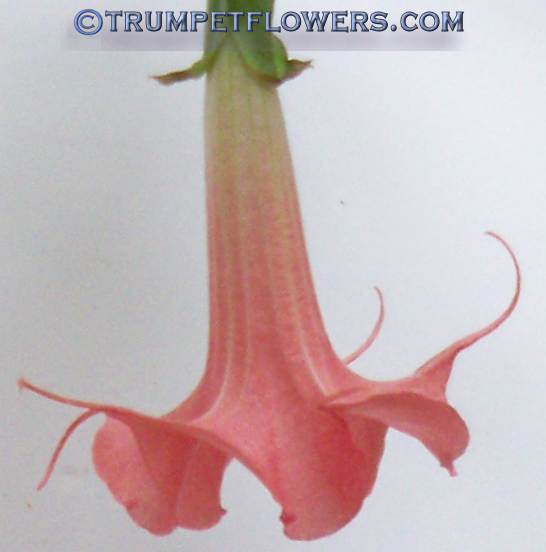 This entry was posted on April 4th, 2013 and is filed under Brugmansia Gallery.